Accepted file types: pdf, psd, ai, eps, tif, tiff. Instantly change the look and feel of your packaging with the immediate personality kraft stock provides for your custom labels. Printed on an HP Indigo digital press, your labels will have the visual premium of true gradients, inks that don’t run, and vibrant colours. Get a premium and natural look, with tactile appeal–plus better registration! Free proofing and free layout on all your custom label orders! With Inkable Australia, you can print any size that you require within our sizing guidelines (1”x 1” up to 12” x 18”) and enjoy hassle-free and cost-effective kraft label printing, with no additional setup fees. * FOR SQUARE AND RECTANGLE PAPER LABELS, corners can either be straight or rounded, depending on your custom kraft label needs. Uncoated paper has a “ Matte” finish because it is not shiny paper. It is a term meant to describe uncoated paper and is different from matte laminate, which is a low-shine paper coating. This premium uncoated brown stock has a smooth surface, not at all like the uncoated paper you would generally see in inexpensive paperback novels. 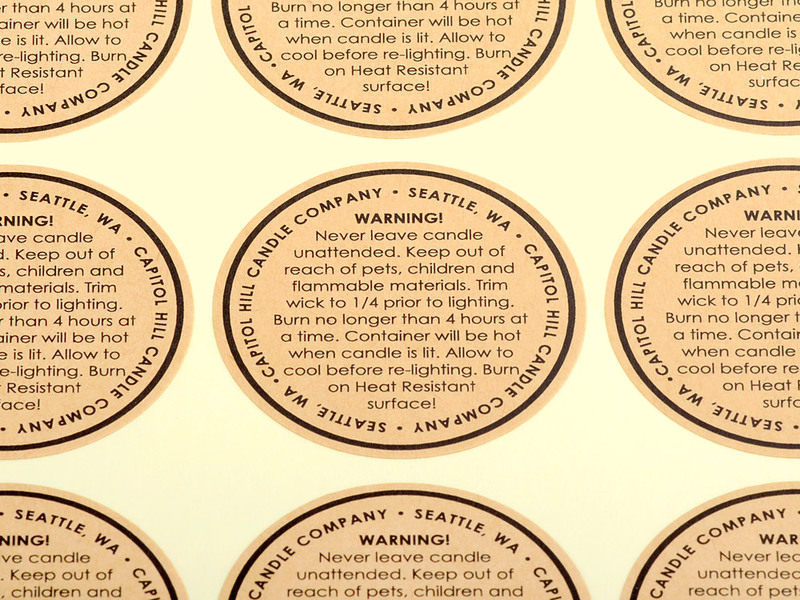 Add more depth, polished detail, and lustrous elegance to your custom kraft labels with foil stamping. This special process uses pressure to transfer metallic foil onto the surface of your kraft label stock. Choose to highlight specific parts of your label artwork, or foil the entire label to get an overall metallic sheen for a high end look. Just make sure the lines aren’t too thin as anything under 1pt can’t be foiled cleanly. NOTE : Foil stamping is different from our gold and silver foil labels. Foil stamping does not utilize metallic-looking inks, rather it uses an extremely thin foil sheet and printing plates to create the metallic imprints. To be able to achieve this, talk to your designer and specify that a new artboard needs to be created. This new artboard must indicate all the areas where foiling should be done, with solid shapes set in 100K (100% Black colour). Label this artboard “ Foil”. If you need help setting this up, CONTACT US and we’ll help you get started. 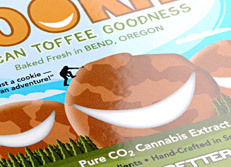 WANT THIS ON YOUR CUSTOM LABELS? This is a special label embellishment. Please use our CUSTOM ORDER FORM. 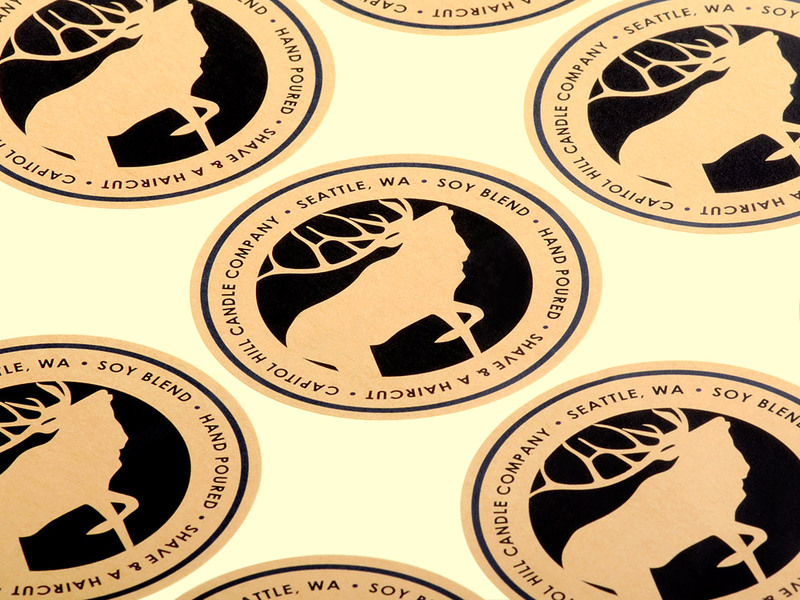 Add custom decorative touches for a two-dimensional, premium custom label. 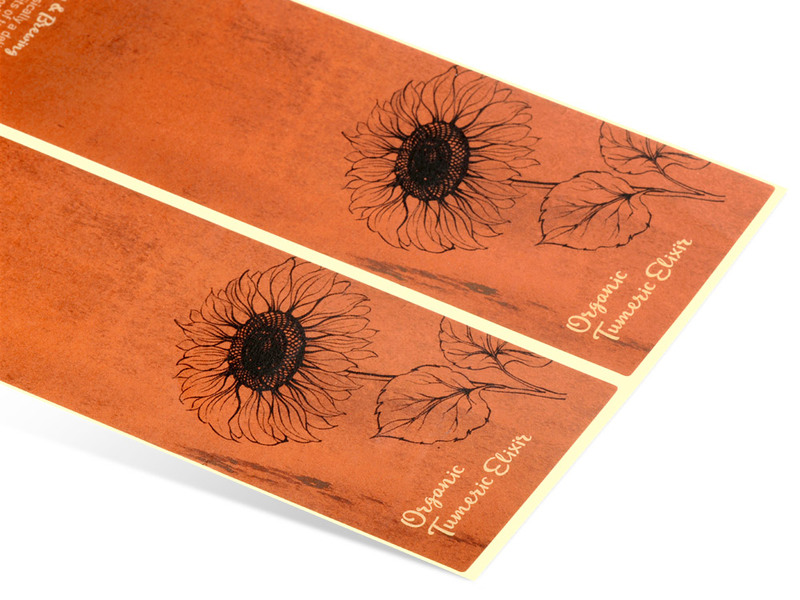 A metal die and high pressure are used to create impressions on your label, for depth, texture, and tactile beauty. For a more involved creative concept, embossing as a final touch increases a custom label’s visual premium for prime labels that outshine competition. 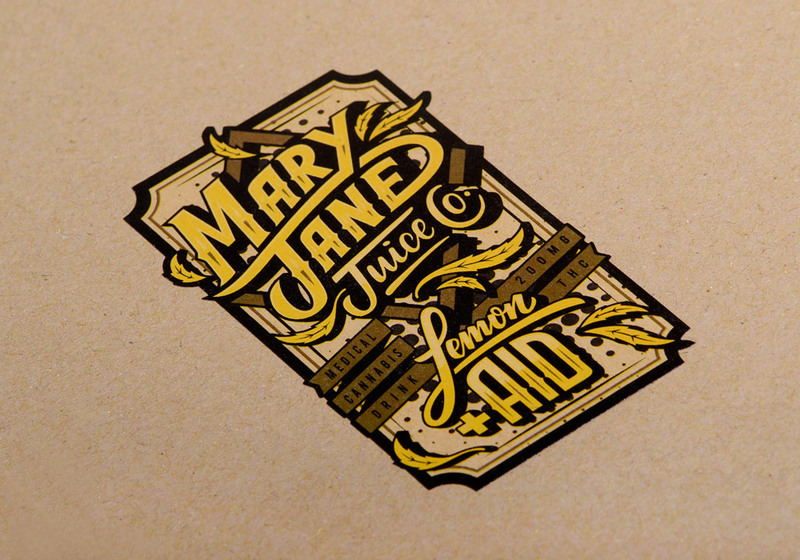 Use embossing for crisp lettering or prominent logos to highlight important visual elements. Just make sure the lines aren’t too thin as anything under 1pt can’t be embossed cleanly. 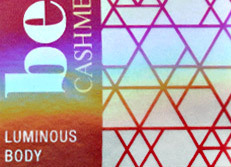 NOTE : Embossing can be done WITHOUT INK—this is called “ Blind Embossing”. This is most commonly done when creating a textured look to the whole label, such as applying patterns and camouflaged borders. To be able to achieve this, talk to your designer and specify that a new artboard needs to be created. This new artboard must indicate all the areas where embossed effect would be, with solid shapes set in 100K (100% Black colour). Label this artboard “Emboss”. If you need help setting this up, CONTACT US and we’ll help you get started. 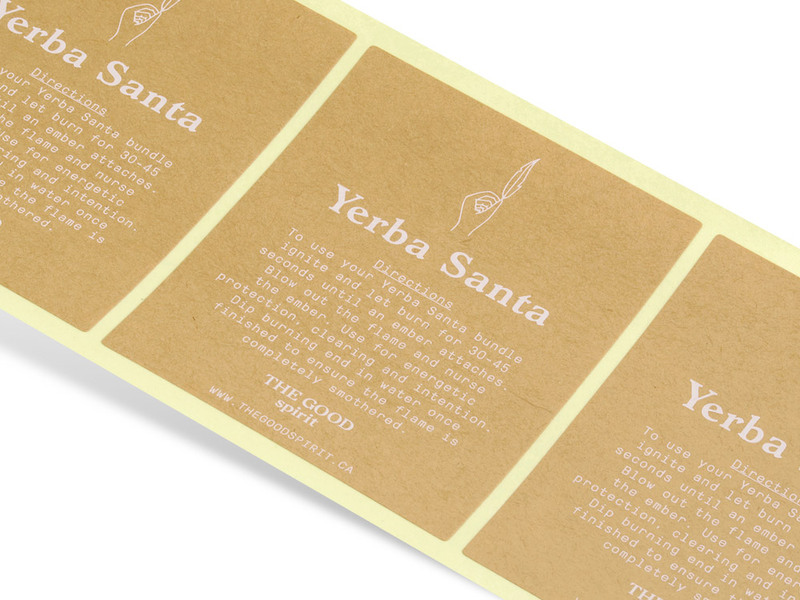 Inkable Australia’s custom kraft labels are markedly simple, charming, and distinctive self-adhesive labels that promote an organic look and feel. 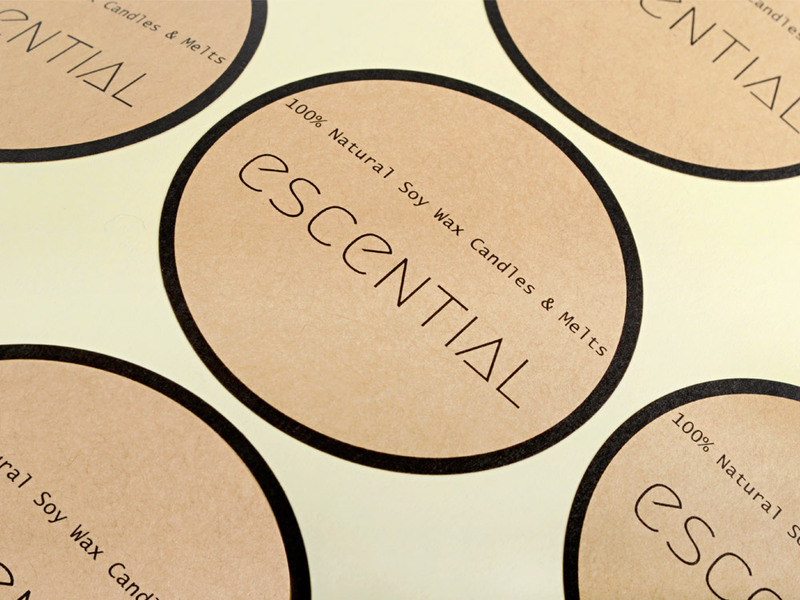 Our cut and finished brown custom kraft labels boast of a smooth and professional-looking finish. All kraft label sizes are made-to-measure, at no extra cost. Customization : rounded corners, standard square corners, or custom radius corners available, free of charge. Special shape die cuts available at a nominal fee. These are not available through our online system. For die cuts (custom shapes) or bulk orders, please use our CUSTOM ORDER FORM. When you print your custom kraft labels with us, you enjoy a truly comprehensive service that saves you hundreds of dollars… And we haven’t even gotten into print cost yet! 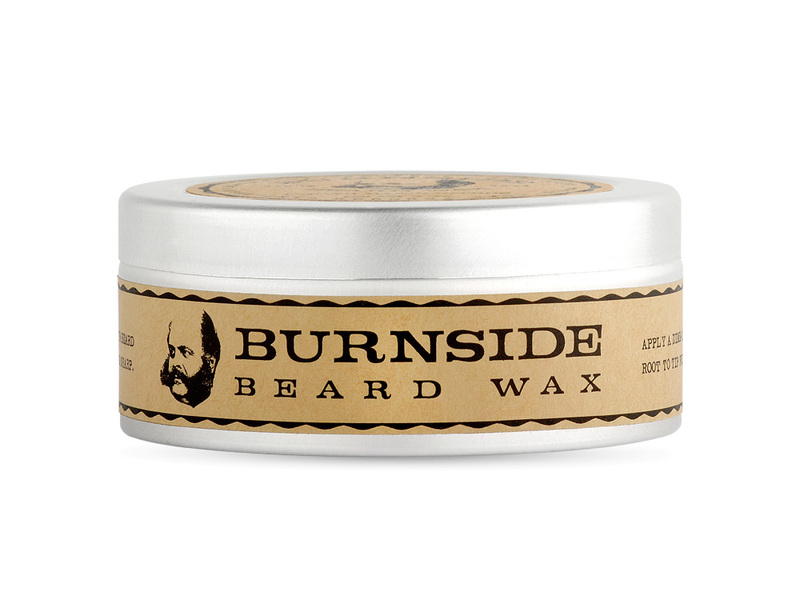 If you’re a business that needs that extra edge with the very best labels for your products, you’ve come to the right shop. We do our best to give you as much savings as we can because as a small business ourselves, we know stretching budgets can be tough. Whenever you place a standard order with us, you don’t need to worry about the added shipping cost—NO RUNNING AFTER A MINIMUM AMOUNT TO BE SPENT, NO SURPRISE FEES, ALWAYS SHIPS FREE TO YOUR DOORSTEP. A professional and effective label starts with design and layout. When you print with us, you enjoy painless custom label preproduction with your complimentary print consultation and advice, supplemented with complete manual artwork inspection and free revisions of file errors. Our free Prepress Report ensures that your file is the most correct version it can possibly be before we print, to confirm there are no costly errors on the press. WE CAN EVEN DO YOUR CUSTOM LABEL LAYOUT FREE OF CHARGE-JUST SEND US YOUR INSTRUCTIONS AND ART ELEMENTS (TEXT, LOGOS, IMAGES) AND WE’LL GIVE YOU THE PUSH THAT YOU NEED TO GET STARTED. Beyond the fine technical points in digital printing, we get into the nitty-gritty of your label printing projects. We respect and welcome your need to discuss before deciding on the appropriate label product that will help you produce the results that you are after. LET’S TALK—NO OBLIGATION, NO PRESSURE. Choice, value-for-money custom labels mean you get more results without cutting corners, because we know how vital they are in establishing your brand. A label that is 100% custom fits your container perfectly without needing to sacrifice size and orientation just to fit a printer’s specifications. ANY SIZE YOU NEED, WE CAN DO IT, WITHOUT THE EXPENSIVE CUSTOM SETUP COSTS. * Applicable to standard shapes. For custom shapes, please use our CUSTOM ORDER FORM. THE INKABLE ADVANTAGE: We don’t charge extra for anything that we feel is essential in creating your custom labels, and we rebate any cost that is flexible coming from our production setup strengths. We’ve studied our pricing and service offerings so that we can apply competitive prices to maximize your budget for a greater ROI. 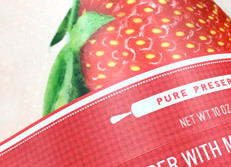 Kraft labels are special because of the immediate personality they provide for your brand. 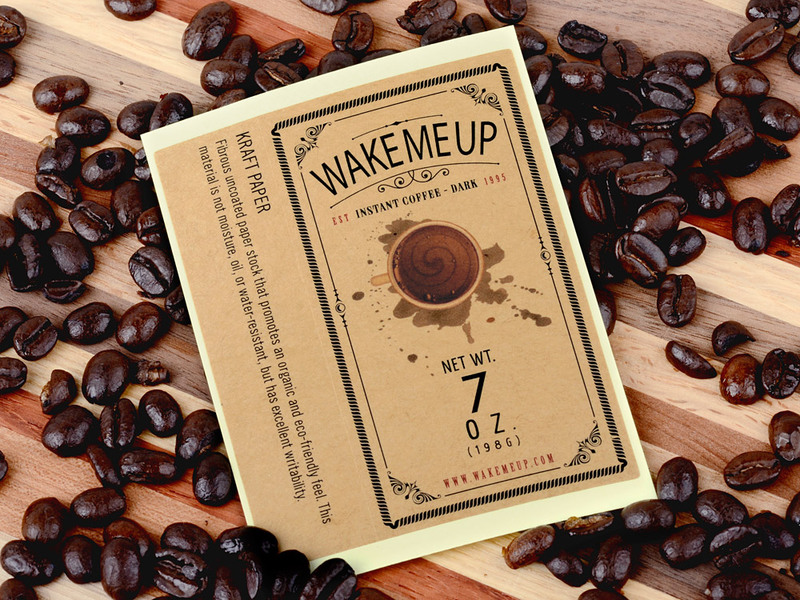 While you can choose to do standard labels, printing the same artwork on kraft label material instantly changes the look and feel of your custom labels. Also, kraft labels do not have any laminate or coating on them, which means they are not reflective or high-shine and makes these best for applications that will require finishing touches (handwritten details) to personalize each label. FOR BEST QUALITY PRINTS, stay away from light to medium browns and reds if you are using these colors for important text because they won’t print as clearly on brown kraft labels. 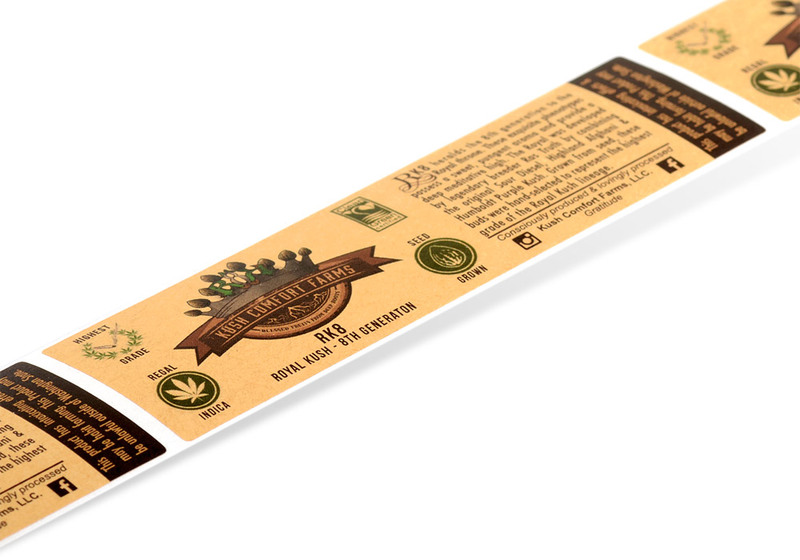 Stick to black or white especially if the text are details of your product or event—this guarantees good printability and readability on your custom kraft labels. MAKE YOUR LABELS LAST LONGER. Kraft labels do not have any protective laminate or coating on them, which means that they are neither waterproof nor moisture-proof. This lends to a shorter life span in terms of ink rubbing off and labels getting damaged with moisture. Remember to store your kraft labels in a dry place, not exposed to sunlight, as these labels fade more quickly because they are not reinforced by coating or laminate. TIP : As the stock is not white, colors will print darker due to the paper base color. Your artwork previously printed on white stock will translate differently on this stock, and there is less contrast unless you adjust your color values. Especially if it is your first press run, we suggest that you test colors first by doing a HARD PROOF to see if the colors turn out accurately with the new brown stock. Set all your images, objects, and the file’s colour mode to CMYK for digital printing. We print kraft labels to any size. Please double check artwork dimensions before sending to save on proofing time.